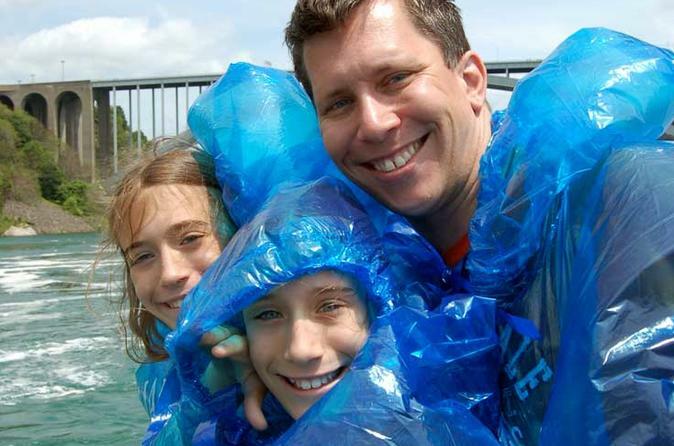 Take The Tour Your Way With Your Family & Friends in a Private Tour (Upto 7 people) Customize your Niagara Falls experience with a Private Tour. No trip to Canada is complete without visiting the Niagara Falls! A Private Tour will pick you up at your Hotel (or specified pick-up location) and take you to Niagara Falls. You will have the opportunity to witness the Niagara Falls, one of the natural wonders of the world, and to explore the Niagara region. Since this is a customized tour you can visit the site you want to see, for as long as you want to see them. This tour is specialized for the busy business traveler, couple or small family that would like the freedom of choosing their own destinations and pickup/dropoff times. Everybody should have the opportunity to visit Niagara Falls and now they can with a Niagara Private Tour. Your tour starts when we pick you up from your designated pickup location in one of our meticulous maintained luxury vehicles. No waiting in line (VIP treatment) for the Niagara Falls boat tour called the HORNBLOWER NIAGARA CRUISES (seasonal). If the Hornblower cruise is not available then you will experience either Journey Behind the Falls or enjoy the panoramic view of the Niagara Falls from the Skylon Tower. You can explore the Niagara Falls and surrounding areas on your own or with your group (or skip the exploration to save time on your tour). You will be provided a free lanyard with your drivers contact information. In the event you become lost, the driver is only a phone call away. Experience the natural phenomenon of the Niagara River. You will witness the power of the Niagara River and watch the white waters of the rapids in the Niagara Gorge. The waters of the rapids converge, causing them to spin in counterclockwise motion. Between the Botanical Gardens and Queenston Heights Park stands one of the most popular sights to view in Niagara. The Floral Clock is a 12.2-m (40-ft.) diameter working clock that is one of the largest in the world. Once you have taken all you photos with the colourful clock you can take time to go souvenir shopping or skip the shopping to save time on tour. Stopover in Niagara-on-the-lake. You will appreciate the quaint shops and boutiques that line Queen Street, the main drag of Niagara-on-the-Lake, as well as the proximity of wineries, brew pubs and even a chocolate factory! Complimentary wine and grape juice tasting is available. Be treated as a wine connoisseur at a world-class winery. Buy local-made wines of your choice. World famous Canadian Ice Wines are available here. The tour ends back where it started, your camera will be full of memories that will last forever and we will also give you a FREE magical Niagara Falls color changing mug to remember your Niagara Falls adventure with Us. © 2019 Hello Toronto - All Rights Reserved.